Maison vue des Iles stands just 12 meters from the Indian Ocean, with a short flight of palm-shaded steps leading down to the beach. The property is unique, there are no nearby roads, no noisy neighbours; it is very bit as tranquil as it appears in the photographs. Maison vue des Iles has the character and appearance of a traditional plantation property. The private drive is gated and the gardens have a fine collection of tropical plants. Behind the house is a wind-cut granite outcrop covered in Bougainvillea. The property derives its name from the collection of tropical islands which are the focal points of the stunning views available from all around Maison vue des Iles. The interior is a real contrast, the décor is a modern take on colonial style, with white walls and sofas softened by wooden floors and furniture, a mezzanine level doesn’t obstruct a view upwards 30ft to the rafters. There are huge oil paintings by local artists (including our famous neighbour Raymond Dubuisson) to provide colour, none, however, can compete with the vivid turquoise of the sea that can be seen straight ahead through the folding veranda doors. INSIDE. The Villa has two master bedrooms with King-sized beds. One bedroom has an en suite bathroom, the other bedroom has a bathroom just across the hall. Upstairs there is a mezzanine bed space with library and balcony. There is a well equipped kitchen and a separate laundry/utility room. OUTSIDE. The veranda extends to 60sq. mtrs. and includes a lounge area, dining area and a double hammock. There is a large sundeck in front of the veranda and another smaller one just above the beach, off this is a perfectly situated second hammock. A simple 'island style' half barrel BBQ serves a shaded seating area where tropical plants compliment the ocean views. Most of your time will be spent outside, either in the ocean or being transfixed by it from the many vantage points around the house and gardens. 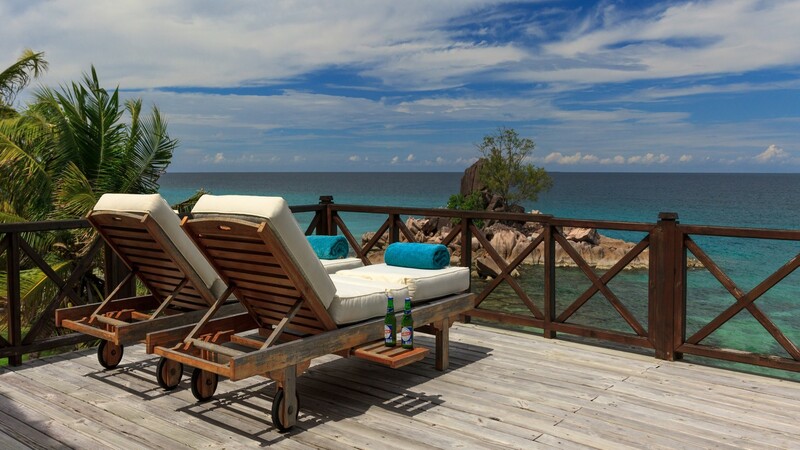 Maison vue des Iles is the place to stay if you love peace, relaxation and breathtaking views of the Indian Ocean. Ideal for couples, families, groups of friends and anyone who appreciates scenic beauty at its very best. © 2017 Maison Vue Des Iles. All rights reserved.